It&apos;s the most wonderful time of the year here in Hendricks County, Indiana, and the most sought-after person around these parts for the next month or so is a big fella with a white beard and a red suit. If you&apos;re looking for Santa Claus this holiday season, here are some of the places where you&apos;ll be able to find him. Ol&apos; Saint Nick is available for professional photos at The Shops at Perry Crossing in Plainfield every day through Christmas Eve! He&apos;s there from 11 a.m. to 8 p.m. Mondays through Saturdays and from noon to 7 p.m. on Sundays. He&apos;ll be there from 9 a.m. to 4 p.m. on Christmas Eve. Prices range from $34.99 to $49.99, depending on which photo package you select. The Winterland Holiday Light Display at Ellis Park in Danville is a great place to find Santa Claus on Fridays, Saturdays and Sundays through Dec. 23. Take the whole family for $10 per carload on the weekends, and stop in at the Train Station to see Santa from 6 to 10 p.m. Fridays and Saturdays and from 6 to 9 p.m. on Sundays. Insider tip: Santa won&apos;t be at Winterland Mondays through Thursdays, but you can still enjoy the holiday lights on those nights for just $5 per carload. The Lions Club of Brownsburg is hosting its annual Breakfast with Santa this Saturday, Dec. 1 from 8 to 10:30 a.m. at Bundy Lodge in Arbuckle Acres Park in Brownsburg. Take photos of your kids with Santa for free and then enjoy a breakfast of scrambled eggs, sausage gravy and biscuits or pancakes and sausage patties for just $7 per person. Kids ages 6 and under eat for free! The Red Curb Improv Comedy Theatre in Avon hosts the Avon Santa Stop on several dates in December, providing an opportunity for families to get professional photos taken with Santa Claus. Enjoy some holiday treats while your photos are printed. Photo packages begin at $25. Available dates include Dec. 1, 2, 15, 16, 22 and 23. Times vary depending on the date you select. For $5, you can reserve your spot in advance! For more information, including how to reserve a date and time for your family, click here. Come enjoy Cookies and Cocoa with Santa Claus at Natural Valley Ranch in Brownsburg this Saturday, Dec. 1 from 10 a.m. to noon or from 1 to 3 p.m. 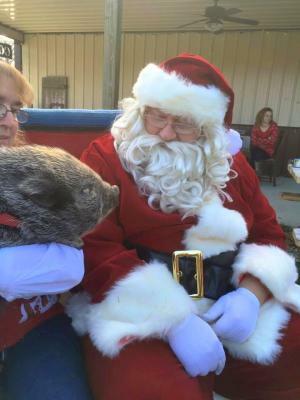 Youngsters will enjoy a wintertime visit to the ranch that includes photos with Santa Claus by the fire, holiday snacks, story time with Santa, Mrs. Claus or an Elf, and a craft along with the opportunity to visit the petting zoo. You must purchase tickets for the session of your choice in advance ($10 per adult; $7 per kiddo), which you can do by clicking here. No tickets are available at the door. Danville Tri Kappa is hosting its 44th Annual Jingle Bell Junction at the Hendricks County Senior Center in Danville this Saturday, Dec. 1 from 2 to 4 p.m. For $5 per person, enjoy gift bags, crafts, the Secret Santa Shoppe and photo opportunities with Santa Claus. Come out to Avon Town Hall Park this Saturday, Dec. 1 from 6 to 7 p.m. for the Avon Tree Lighting presented by the Avon Community Heritage Festival. This event is completely free to attend, and it features live entertainment, crafts and games for kids, Christmas lights all over the place, and of course, the one and only Santa Claus! For something a little different, how about Chili with Santa hosted by the Coatesville Volunteer Fire Department this Saturday, Dec. 1 from 6 to 9 p.m. Freewill donations are accepted for this chili supper, and Santa will be there for photos and conversation with the kiddos for a minimal fee. They&apos;ll have a raffle, too, and you can earn yourself a free raffle ticket by bringing in a non-perishable or canned food item to be donated to the Coatesville Food Pantry! The event will be held at the Coatesville Fire Department, located at 8098 Main St. in Coatesville. On Saturday, Dec. 1 at 6 p.m., the Town of Brownsburg and Brownsburg Parks & Recreation present their annual Christmas Under the Stars parade throughout town, and after the family enjoys all the floats and candy, take them to Brownsburg Town Hall to see Santa Claus until 9 p.m. They&apos;ll light the Town&apos;s Christmas Tree, and there will be music to enjoy, too. Insider tip: For those who have enjoyed Christmas Under the Stars in past years, there is a new parade route in 2018. The parade starts at Brown Elementary School, heads west on Tilden Drive to Locust Lane, then south to the parade&apos;s end at Williams Park. Pittsboro Parks & Recreation has secured Santa Claus on Sunday, Dec. 2 from 2 to 5 p.m. at the Scout Building in Pittsboro&apos;s Scamahorn Park. Let Santa know what you want for Christmas and then enjoy some cookies and games for the whole family! This event is free to attend. Insider tip: Pittsboro Parks & Recreation is also hosting the Christmas Tree Lighting and Christmas Carol Sing-Along this Friday, Nov. 30 from 7 to 10 p.m., as well as the Christmas Village Fair on Saturday, Dec. 1 from 10 a.m. to 2 p.m. Both events are free to attend, and both are held at Scamahorn Park. 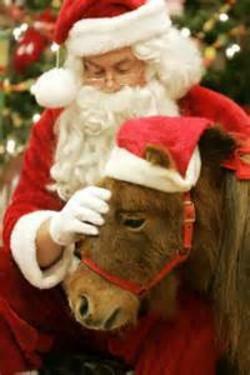 Down in Plainfield at Strides to Success, families can enjoy Christmas with Santa and the Ponies on Friday, Dec. 7 and Saturday, Dec. 8 from 4:30 to 8:30 p.m. each day. 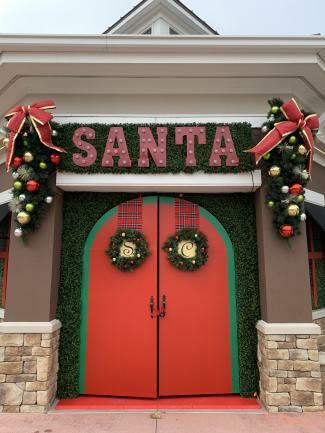 Bring the family and have your picture taken with Santa, visit Santa’s workshops for crafts, enjoy homemade cookies and punch, play reindeer games and, of course, visit with the ponies! Strides to Success is requesting a $25 donation per family at the door. For more information, click here. Head up to North Salem for Old Fashion Christmas on Dec. 7 and 8, and you&apos;ll find Santa Claus and Mrs. Claus there on Friday, Dec. 7 from 6 to 8 p.m. 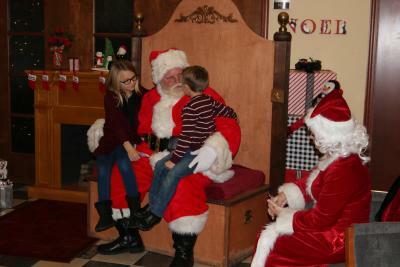 There will also be the Town&apos;s Tree Lighting, free hayrides, shops open until 8 p.m. and an Ugly Christmas Sweater Party at the Community Building from 8 to 10 p.m.
Have breakfast with Santa at the Methodist Church on Saturday, Dec. 8 from 8 to 10 a.m., and you can also witness Santa arrive in North Salem on a fire truck on Dec. 8 at 8:45 a.m.! Santa seems to have dropped some candy canes at Natural Valley Ranch in Brownsburg when he was there for Cookies & Cocoa. Come out for the great Candy Cane Hunt on Saturday, Dec. 8 from 10 a.m. to noon or from 1 to 3 p.m. to see how many of those candy canes your kiddos can find! Visit with Santa Claus, visit the animals at the animal encounter area, make a craft and enjoy a snack from the popcorn bar. Much of this event is outdoors so dress appropriately! You can purchase tickets for the session of your choice in advance for $7 per person by clicking here. Tickets at the door are $10 per person. Kids under the age of 2 are free. Hosted by Washington Township Parks & Recreation, Sensory Santa will take place at the new Nature Center at Pecar Park in Avon on Saturday, Dec. 15 from 8 a.m. to 12:15 p.m. Sensory Santa gives children with special needs the opportunity to do activities and have their picture taken with Santa and Mrs. Claus in a calm, less intimidating environment resulting in a healthy, positive holiday experience. For more information, including how to reserve your time slot, click here. For even more holiday events throughout Hendricks County, be sure to check out our Events Calendar! I hope Santa brings you and your family everything they&apos;re wishing for this year!